Florian is Co-Founder & Managing Director at ZipJet. Previously, Florian worked with KPMG and BCG as a consultant. Before launching ZipJet, Florian also headed up Business Development at Trend, a German startup specialising in automotive e-commerce. Florian holds an MSC in Law from Ruprecht-Karls-Universität Heidelberg. 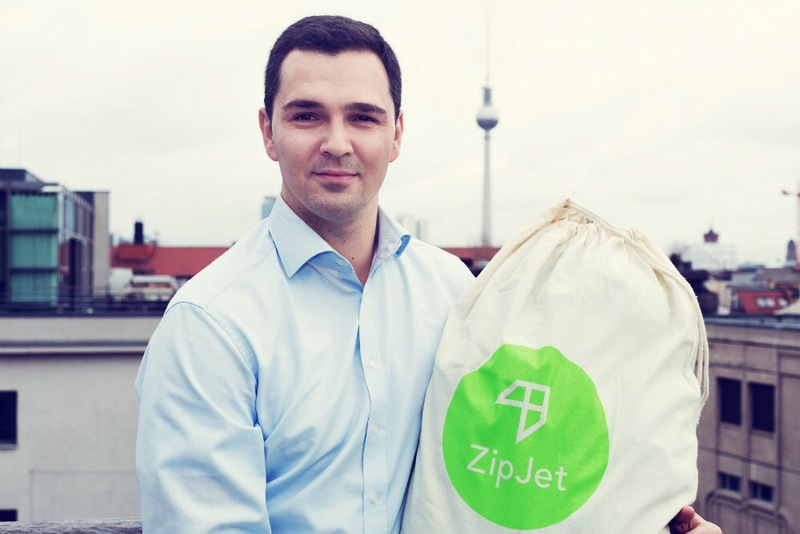 ZipJet is an on-demand laundry and dry cleaning service, operating in London, Berlin and Paris. We invite our customers to order with us via the ZipJet app or website, selecting a convenient time slot for a ZipJet driver to swing by, home or office, and collect the items for cleaning. These are then processed by our facilities, and returned to the customer, again at a time of their choosing. Our service offers an unparalleled degree of convenience to time poor professionals and families across three of Europe’s most vibrant metropolises. 2) How did you come up with the idea for Zipjet? My co-founder and I each spent a number of years in consulting, where we, like many other professionals, experienced difficulty finding the time for laundry chores or a trip to the dry cleaner. Long working hours and inconvenient dry cleaning opening times compounded the problem! We asked ourselves why, in 2014, when even doughnuts had gone on-demand, why this wasn’t the case for laundry & dry cleaning. And so ZipJet was born. 3) What is the future of apps? It could be that apps themselves become inconvenient. Whilst this would be ironic, given that most aim to simplify people’s lives, we can expect consumers to demand unprecedented convenience, which may mean that downloading an app is itself too much to expect. We might therefore see developments whereby, in ZipJet’s case, installing an app would no longer be necessary: rather it’d be as simple as telling your phone that you want a ZipJet driver to show up and take your laundry off your hands. 4) What makes your company different to your competitors? Our innovation in logistics. We have an in house team of tech specialists and mathematicians that have developed a routing algorithm that underpins our logistics. This has allowed us to achieve a punctuality rating of 96%, which is a phenomenal achievement, and something we’re incredibly proud of. We always emphasise substance over style, which means product, and letting our product speak for itself, comes before marketing. This differentiates us. We would like to thank Florian for speaking with us.